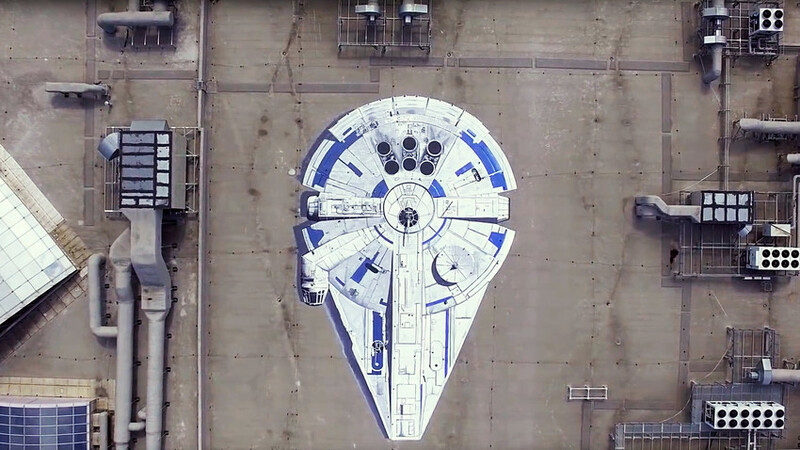 A full-scale graffiti artwork of the Millennium Falcon starship from the Star Wars films has emerged on the roof of Aviapark, one of Moscow’s big shopping centers. It took six days for the team of five artists to create the mural, which arrives just in time for the premiere of Solo: A Star Wars Story on May 24 in Russia. The image covers an area of 587 sq. m and represents the fictional starship of Han Solo in a scale of 1:1. Around 150 liters of paint were used to create the artwork, which looks three dimensional due to a special painting technique. "If one looks at it from the above, there is a total feeling that this spaceship has just landed or is going to lift off any minute," Sergey Mun, a representative of the team of graffiti artists, shared. Love Star Wars? Then you should see these Russian sci-films. What's the Russian gun that appears in Star Wars?